ASLA-NY seeks to raise awareness of the field of landscape architecture and support policies which are aligned with values promoted by ASLA, including good stewardship of the environment, healthy communities, recognition and conservation of historic cultural heritage, greener transportation corridors, and effective, energy and cost-efficient landscape design. We are looking for better, more effective ways to bring our voice to the forefront. 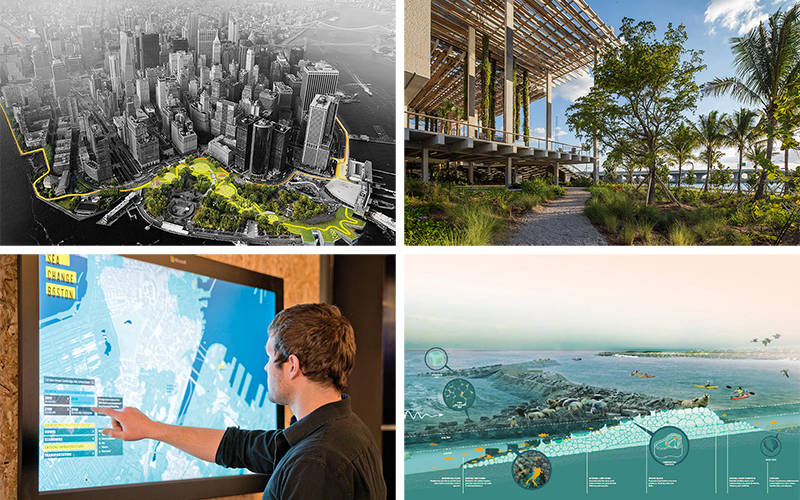 Members are invited to alert the ASLA-NY Advocacy Committee of issues of relevance to the practice, advocacy and public awareness of landscape architecture in NY State. To facilitate the committee understanding the issue, forming an opinion and making a decision to create an ASLA-NY Position Paper, members are requested to provide, whenever possible, a basic outline of the issue and links to current objective information 3 weeks before any public hearing or deadline for filing a statement. The committee will then discuss the relevance to landscape architecture and ASLA-NY’s mission, whether we have enough information/insight into the topic to be credible, and what we think our response should be. If the committee agrees to take on the topic, it will write a draft position paper which is presented to the full board, along with the background information, and the board votes whether to proceed and make it a public statement or not. If the vote is yes, the paper is finalized, sent to the relevant decision makers, and posted on our website. A description of the committee may be found here. Any interested member is welcome to join our advocacy efforts. Contact our Executive Director at [email protected]. Our recent advocacy efforts and policies are found below. ASLA-NY has joined 14 other NYC organizations who wrote a letter to the Mayor regarding improved public space for civil discourse. We are meeting with the DOT Commissioner on March 6 to discuss concrete actions and next steps. Please click here to read the letter (ASLA-NY was not a signatory to the original letter but subsequently joined the initiative). ASLA-NY has signed on as a signatory to an open letter from Architects Advocate to President Trump regarding climate change. Click here to read the letter, and include your own name if interested. ASLA-NY will be participating in Lobby Day in Albany on May 17. Please contact Diane Katz at [email protected] if you would like to join. iAdvocate from ASLA on Vimeo.